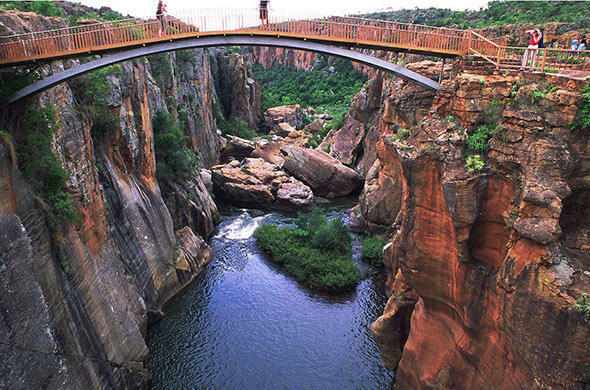 Huge sandstone cliffs cut by the Blyde River, forming the spectacular 800m deep Blyde River Canyon, dominates this reserve. 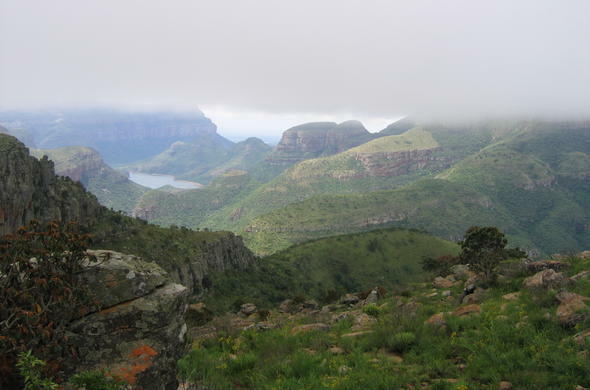 Sometimes also called the 'Grand Canyon of Africa', its walls and steep valleys are covered in indigenous bush and thick forests, which harbour Baboons, various species of buck and the elusive Leopard.There are numerous walks and trails in and around the camps as well as the very popular 65km, 5 day, Blyderivierspoort Hiking Trail, which crosses the 22 000 hectare reserve from north to south. Rather strenuous rafting trips are on offer through the Blyde River Canyon.The canyon is 20km long and includes the Blyderivierspoort Dam, which has a healthy Crocodile and Hippo population and wonderful birding opportunities. There is an informative Visitors Centre overlooking the dam and 2 well equipped camps with chalets, restaurants and swimming pools. 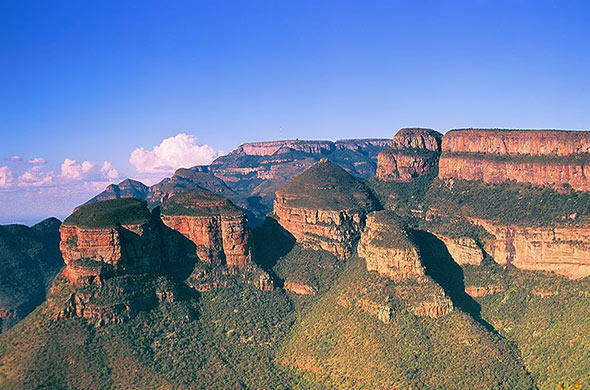 Perhaps the most majestic landmarks in the reserve are the 3 conical shaped mountains in the north known as the Three Rondawels. Here several view sites offer panoramic vistas of the canyon, the river and the dam beyond. Another must see is the Bourke's Luck Potholes found at the confluence of the Blyde and Treur Rivers; these weird rock formations being formed over the millennia by the tumbling action of water, sand and stones.